It may be your first project, but ... never fear. Since 1976, we have produced the best quality printing! Let us handle your next project! We use the finest equipment -- in job printing (Heidelberg, Imperial, Chief) and in computer graphics (Macintosh). Delivery on time or before it's expected! 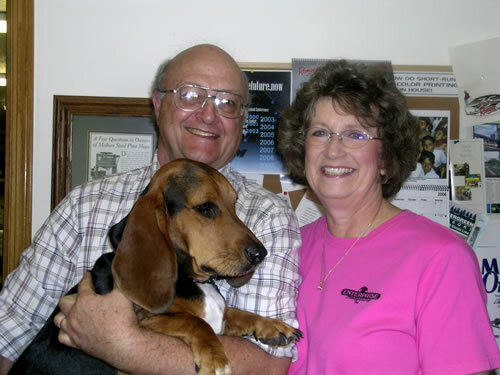 Jim and Kathy Johnson and staff are the professionals you've been looking for. The Johnsons are qualified by education, experience, and their commitment to quality. Enterprise Printing produces printed materials that carry your message beautifully to any audience. "We care about quality and always use metal plates instead of paper or plastic due to their superior performance." Cookbooks - Customize our Treasured Recipes for your club, family, or business. E-mail us for details and minimum order requirements.